Suitable for ages 4 to 8 years. Engage and neutral gear lever. Hand operated rear wheel brake. Fully enclosed chain for safety. Assembled Dimensions: Length 101cm, width 61cm, height 62cm. Maximum rider weight is 30kg. Don't miss out on this fantastic offer. Be the envy of all your friends and ride around in style on one of our funky new Kiddo go-karts. EN-71 certified. Ideal go-kart, suitable for ages 4 to 8 years. Fantastic outdoor fun, great for low impact exercise. Engage and neutral gear lever, hand operated rear wheel brake, fully enclosed chain for safety, rubber wheels, adjustable seat, easy steering, steel frame. Assembled Dimensions: Length 101cm, width 61cm, height 62cm. All measurements are accurate to the nearest cm. Maximum rider weight is 30kg. Colour: Red. MAINTENANCE: To maintain the safety and longevity of this product please refer to the following care instructions. Clean the kart regularly with a dry cloth. Regularly check the screws, steering and seat connections and tighten if necessary. Regularly check for damaged parts and replace if necessary. Kiddo is a registered trademark. WARNING: To be used under the direct supervision of an adult. Protective equipment should be worn. Defintely a great purchase, really happy with the go-kart. Great product for any child. My grandson loves it. My 5 and 6 year old love it!! It’s made well enough that it works for them but cheap enough that if they somehow manage to break it it won’t break my heart as well. Children love the go-kart, will have to purchase another one as it is causing a few arguments!! Grandson loves it, great value for money. Bought as a Christmas present for my son. He absolutely loves it. Highly recommend. Happy with new go-kart purchased for birthday present. Can't wait for better weather to enjoy outdoors more! Gets good play and going strong. 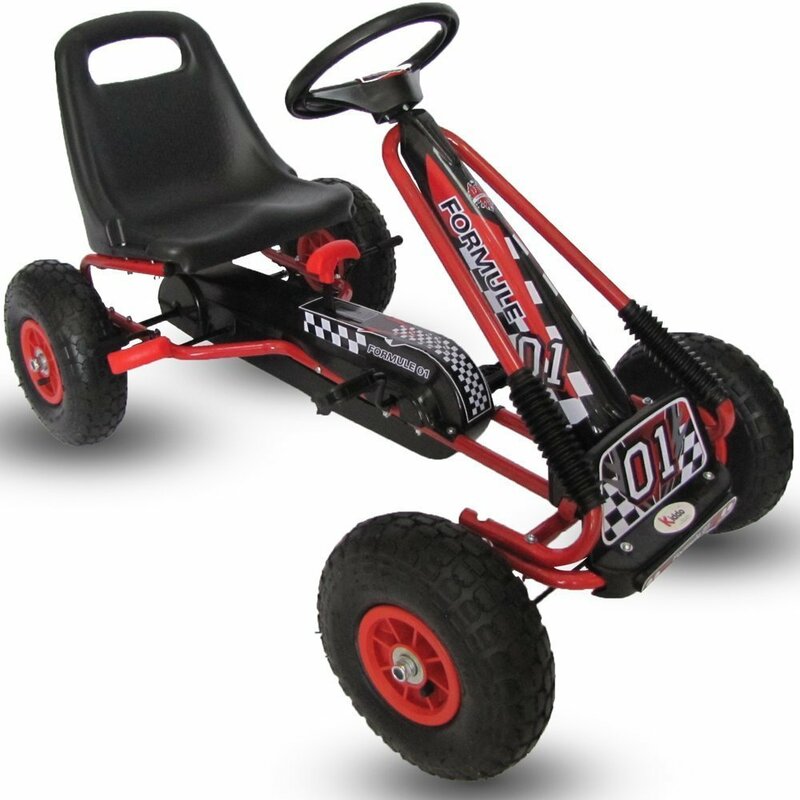 I researched lots of go karts before purchasing and this one seemed the best value for money as it had the rubber tyres for better grip and a sturdy looking seat. My son likes it and is comfortable in it. Rides nicely!